Summer Tiramisu Instead of Traditional Birthday Cake! For my husband’s birthday celebration last week, he requested tiramisu instead of a traditional birthday cake. He didn’t have in mind classic tiramisu, the Italian specialty assembled with coffee-flavored ladyfingers and mascarpone. No! 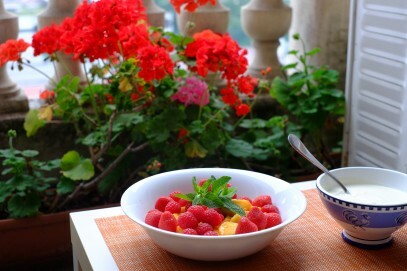 He specifically was longing for a delectable summer version he had sampled recently in France. 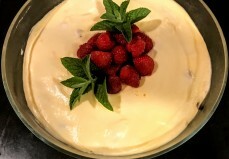 In Paris last month, at a dinner hosted by our French friends, Brigitte and Guy Bizot, he had discovered Brigitte’s tiramisu d’été, a multi-layered creation prepared with ladyfingers dipped in kirsch and cane syrup (rather than espresso), kirsch-scented mascarpone cream, and juicy strawberries and raspberries. 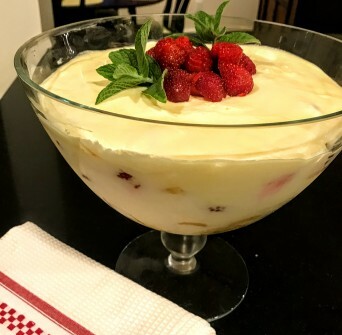 One bite, and he swooned over this glorious dessert that easily serves 10. 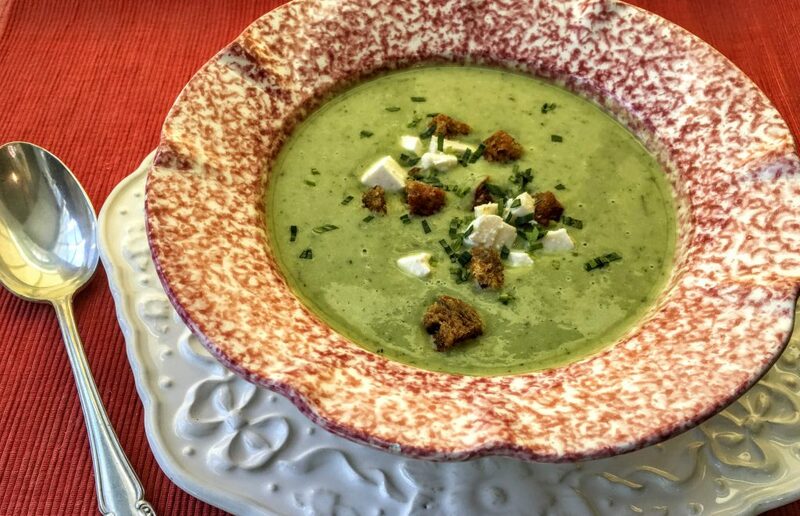 When in France, one of my delights is cooking vegetables. With each season the French look forward to the arrival of fresh produce, and always use it imaginatively. 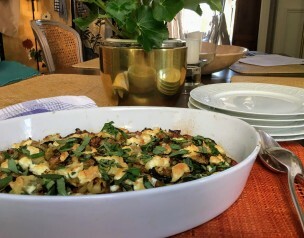 Take for example the talented host who served my husband and me a delicious dish of baked veal slices topped with a beautiful asparagus sauce, or the creative restaurant chef who paired roasted eggplant cubes with fresh orange segments and then topped them with thin slices of dried goat cheese. My own seasonal creations are far simpler since our rented apartment has a small kitchen. 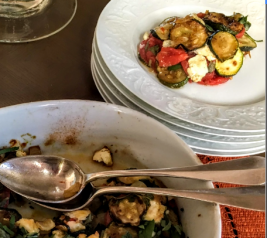 Zucchini (courgettes) and tomatoes are bountiful at the near-by fruit and vegetable stands, so I bought both to make a summer gratin. Recently on a Saturday morning young friends in Paris suggested that we get together for dinner that evening at their apartment. They had a toddler and no baby sitter, but wanted to entertain. Together we decided to buy most of the dishes—an easy task in this city that boasts tempting food specialty shops in every neighborhood. 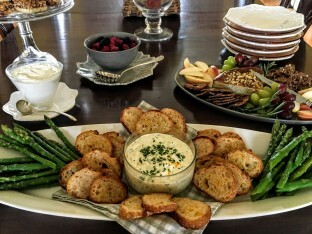 I volunteered to bring purchased appetizers and a simple homemade dessert, while our pals chose to oversee the main course. 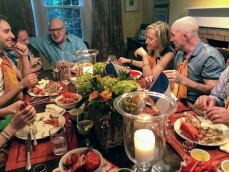 The dinner was not only delicious, but also stress-free. 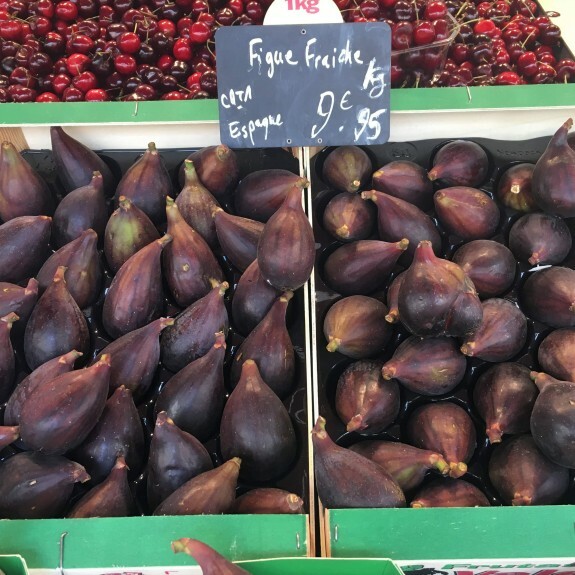 After arriving in Paris last week, I couldn’t wait to make a foray to the local food markets in our Left Bank neighborhood. I marveled at the produce displayed by the fruit and vegetable vendors. 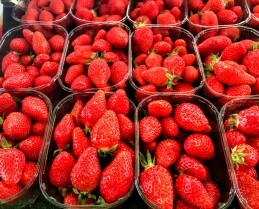 Baskets of strawberries were so ripe that they were red all the way through. 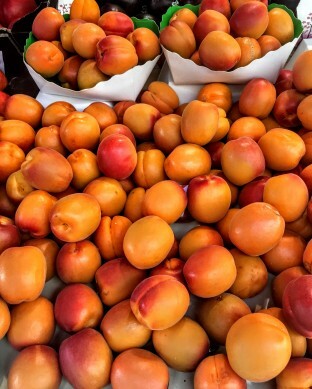 Golden apricots were soft when touched and ready for eating. 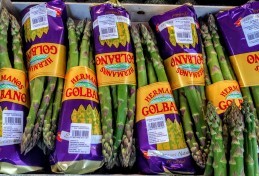 Asparagus—green and white, slender and plump—were also tempting. But the bin that caught my eye was filled with dark, luscious figs. When I squeezed them gently in my hand, they were so tender that I needed real will power not to take a bite. 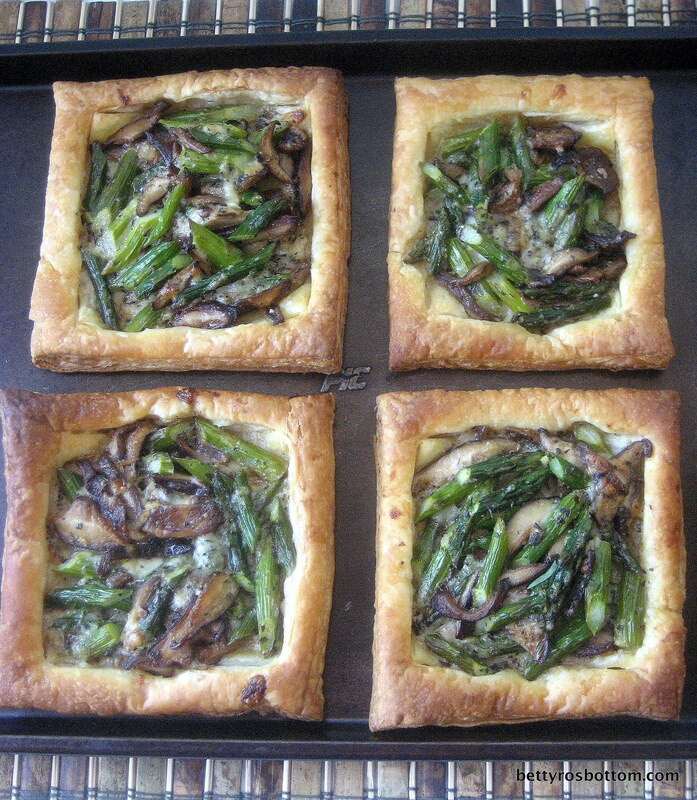 The Asparagus Season Has Arrived! The Pioneer Valley where I live in western Massachusetts makes its claim to fame when the asparagus season opens in May. Farmlands, dotting the region’s landscape, yield all manner of crops, but none is more anticipated than asparagus. In fact, our community is so celebrated for its handsome stalks that it is often referred to as Asparagus Valley. Caramel Wins Over Chocolate in this Dessert! When it comes to dessert chocolate and caramel are two of my favorite flavors. Truth be told, chocolate almost always edges out caramel, but not these past few weeks. 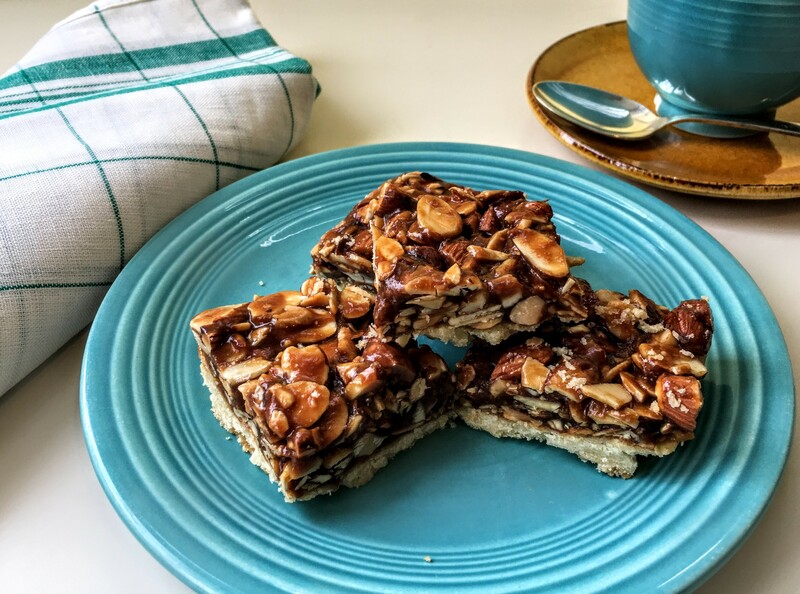 Early last month as host of my book club, I included some caramel almond squares as a sweet treat for my fellow readers. The group ate them with abandon, even asking to take extras home for their spouses and partners. Then a few days later, on a rainy night, my husband and I invited out- of-town friends for a last-minute, take-out Mexican supper at our house. I baked the caramel squares again, and once more watched as they and their two sons helped themselves to seconds and even thirds. 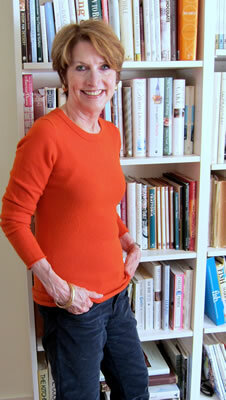 Earlier this month when it was my turn to host book club, I was at a loss for what to serve. 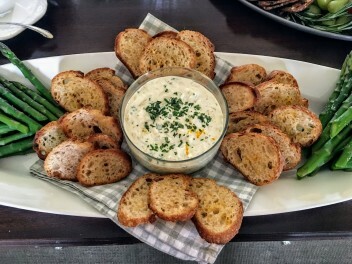 We always have a generous offering of seasonal appetizers and sweets, but this year in New England spring has brought cold temperatures and even snow to us. 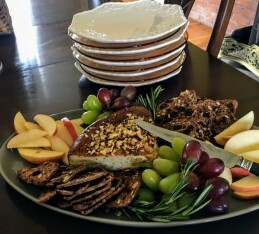 Finally, I came up with a menu: a hearty and savory Gorgonzola cheesecake garnished with grapes, apple slices, and crisp crackers, plus a creamy fresh crab dip with orange-scented toasts, and caramel almond squares accompanied by a bowl of berries and whipped cream. 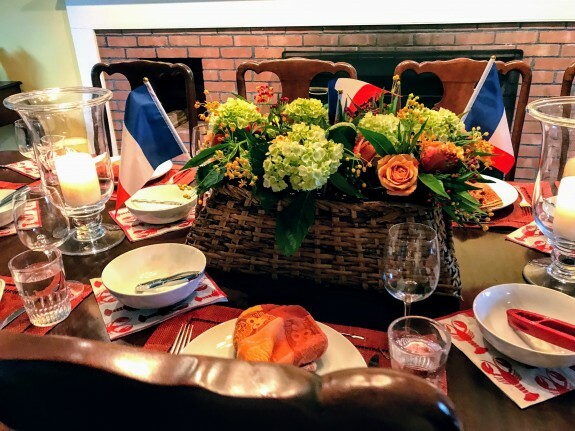 There was no glazed ham, roast leg of lamb, or grilled beef tenderloin at our Easter table this year. 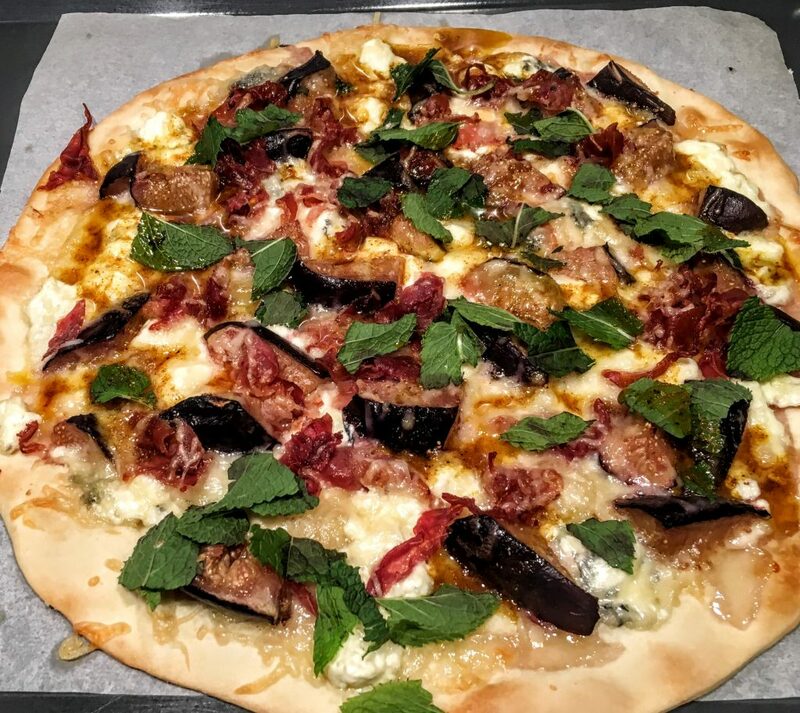 Instead Mike, my son and co-chef, and I agreed on an untraditional main course. 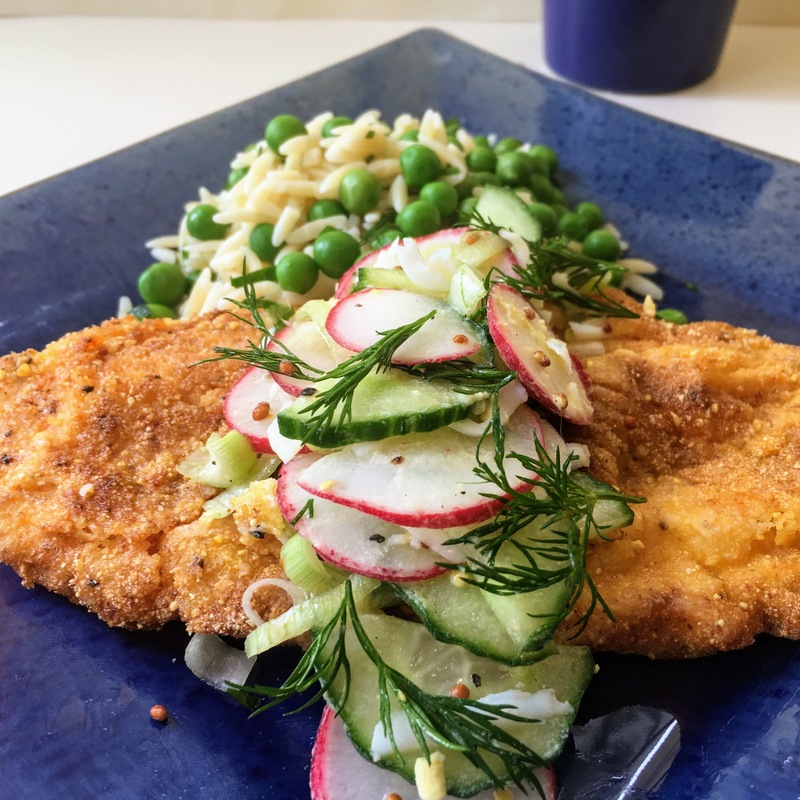 Chicken cutlets, prepared Wiener schnitzel style, were our choice and turned out to be a big success with our family. Although the calendar declares that spring officially got under way this week, you wouldn’t know it by the weather in New England. Predictions of snow have been the constant refrain of our weather forecasters, and even though our town has received only light snowfalls, it still feels like winter here. I’ve countered the cold by cooking spring dishes. Although not local yet, bunches of asparagus and fresh peas have been on display in our markets—an inspiration for cooks to transition from one season to the next. 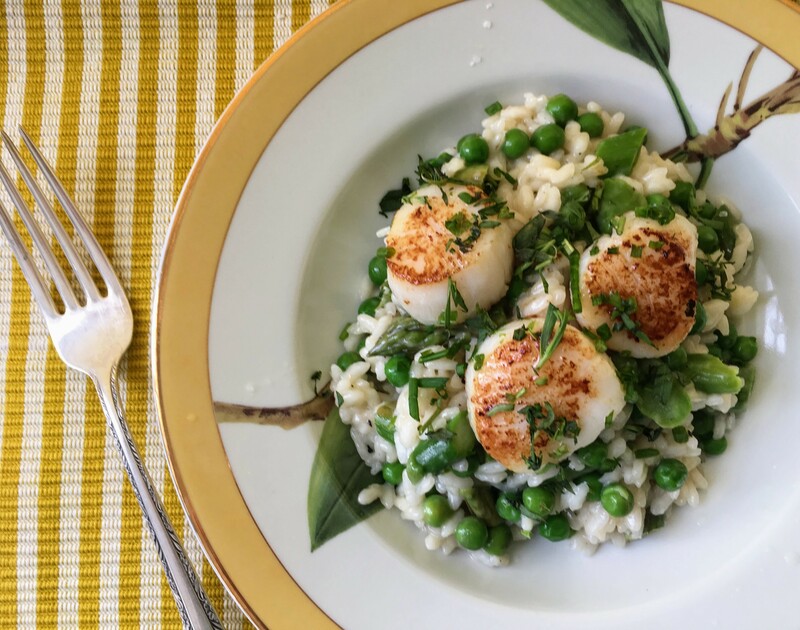 One main course that I’ve prepared several times is a risotto studded with slices of asparagus and peas, and topped with sautéed sea scallops. At last count I had made it three times this month for my husband and me!